Booker headlined the New Hampshire Democratic Party’s post-midterm victory celebration in Manchester. The event at the New Hampshire Institute of Art was jam-packed, with fire marshals directing latecomers to a separate overflow room. Booker, who headlined two rallies in the state a week before the midterm election and who contributed more money to the New Hampshire Democratic Party and various candidates than any other potential White House hopeful during the 2018 cycle, was described by state party chairman Ray Buckley as a “best friend” to New Hampshire Democrats. Booker didn’t discuss any 2020 ambitions in his speech, which some in the crowd described as a sermon. The likely presidential contender was also the main attraction at a gathering with activists in Nashua, at the home of longtime former state Sen. Bette Lasky. He’ll also be the guest of honor at house gatherings in Concord on Saturday night and Sunday in Keene. 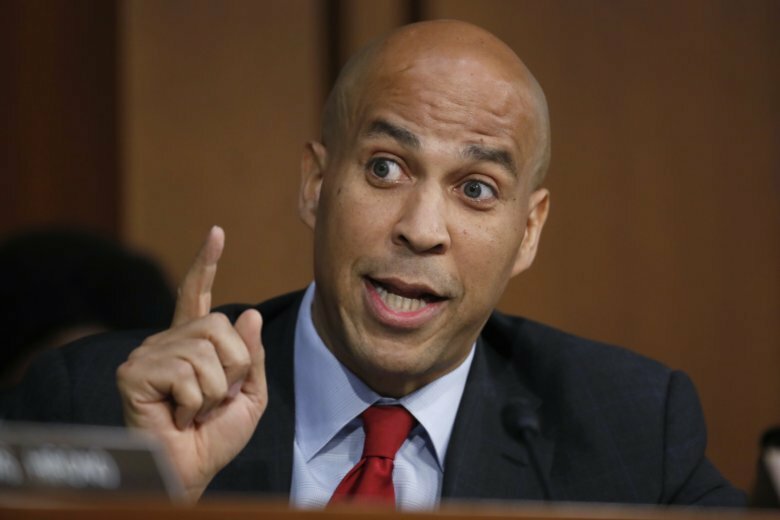 Booker said he had “no specific timeline” to make a presidential campaign announcement. He said he first wants to get through the lame duck congressional session, in which he’s one of the leaders trying to pass bipartisan justice reform legislation. “I was impressed by how much he knew about New Hampshire, some of our situations like our mental health crisis, the drug crisis. As a former mayor, he really understands these issues,” Rosenwald said. Also accompanying Booker at the café and throughout the weekend is Jim Demers, a leading New Hampshire-based Democratic strategist who’s backing the senator if he runs and who helped plan the trip’s itinerary. Demers was co-chair of then-Sen. Barack Obama’s 2008 campaign in New Hampshire, guiding the future president through the state.